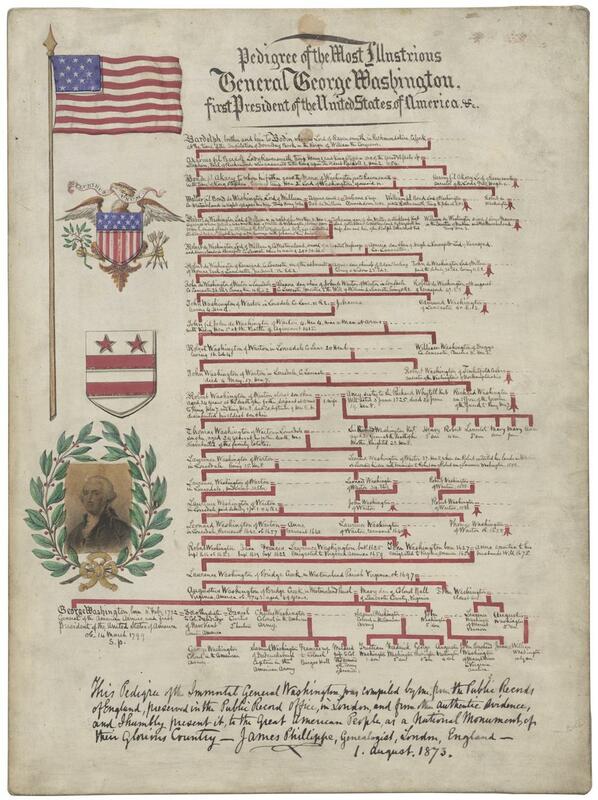 James Phillippe, a British genealogist working in London, presented this genealogical chart of George Washington’s lineage to Ulysses S. Grant in 1873. Phillippe hoped to curry favor with the president, and to establish his bona fides as a researcher. Phillippe had made himself a controversial figure in the world of British genealogy by issuing sweeping pronouncements like “Nearly the whole of the pedigrees hitherto published are fictitious” and calling himself “The only living genealogist.” Such puffery made him a popular target, and Waters clearly felt some glee at proving the chart’s falsity.